Every sports fan wants to see every game their team is involved in. In the NFL, the Game Pass grants you access to watch every game from any team over the course of the season. This is particularly useful to those that follow the sport and don’t live in the United States as coverage is a lot spottier, but sadly the Game Pass isn’t available outside of the US. It also helps you bypass the NFL blackouts if the game is being played in your city, which is entirely glorious. Thankfully gaining access isn’t all that difficult it just takes a couple of extra steps to watch the NFL Game Pass. With the NFL Game Pass, VPN is one such method of gaining easy access. There is also Smart DNS but we’ll go into more detail in the next section so you can figure out which is best for you. So, the first cab off the rank, here are the 3 VPNs we recommend for accessing NFL Game pass outside the US, or skirting around the blackouts if you're in the US. Do I use a VPN or Smart DNS for NFL Game Pass? Using a VPN is the traditional method of being able to take advantage of the NFL Game Pass. Find a VPN provider that offers US servers (which is the majority) and connect to one. Now, all your traffic is being rerouted through that server making it appear as though you are accessing from the correct location. This will then allow you to sign up to the NFL Game Pass giving you full access to all the NFL has to offer. The main benefit of this method is that all of your communications are completely secure, so you get a VPN for your daily internet use, and you get to kill two birds with one stone. A possible drawback is that depending on your distance from the VPN server, your speed may take quite a hit, making streaming the games somewhat problematic. This is where Smart DNS could be a slightly better option. This is a problem that will vary from person to person. Setting up a VPN on anything other than a PC or smartphone is pretty patchy, so if you are going to be using the NFL Game Pass on a device such as a Smart TV, Smart DNS is a much more versatile option. Smart DNS was specifically designed for this sort of use case. It reroutes your information through a DNS server that is resident in the correct country for the service you are trying to access. You will have to make sure that the Smart DNS service that you choose explicitly supports NFL Game Pass. It reroutes your information through a DNS server that is resident in the correct country for the service you are trying to access. You will have to make sure that the Smart DNS service that you choose explicitly supports NFL Game Pass. More often than not, Smart DNS services will allow you to gain access to other services as well, such as different Netflix regions, so you get more for your money if you have a current subscription to some of the bigger Video on Demand services. Smart DNS is available on pretty much every device you can think of as well ranging from iOS, Android, PlayStation, Xbox, Smart TV, and much more. The biggest advantage that Smart DNS has over using a VPN is that there is no speed loss. This is paramount for streaming reliably. The main disadvantage to the Smart DNS method is that you don’t get any of the protection that a VPN offers. So, which is best for me? Well, it completely depends on what you as an individual value most. Would you like to stay secure whilst you stream and take that possible hit on bandwidth? Or is watching your team seamlessly absolutely vital? If you are the former, a VPN is your best choice. For the latter, Smart DNS is perfect for you. What are the best VPN services for watching NFL Game Pass? 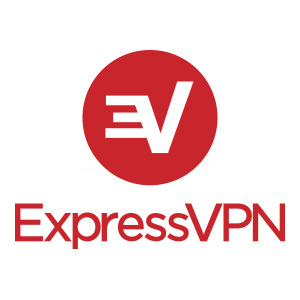 ExpressVPN is a great choice for those that want as reliable a connection as possible. ExpressVPN have 15 different servers in the US, located in various locations around the country. This gives you enough choice to find that one that works best for you. ExpressVPN charges $12.95 a month or $99.95 for the year (what works out at $8.32 a month), so the monthly option is quite expensive but if you opt for a year you get a much more reasonable rate. CactusVPN is another good pick. CactusVPN offer a package with a VPN service AND a Smart DNS service, so you can try both and figure it out for yourself. If a VPN isn’t working well enough, just switch to your included Smart DNS service. CactusVPN has several gigabit servers in the US for VPNs so connection speeds are as fast as possible. It is cheap too, coming in at just $6.99 a month for both VPN and Smart DNS services. For just the US VPN servers it costs just $4.99 a month. If you decide to go with an annual subscription you save 35 percent on both of those prices. CactusVPN regularly hold discounts for major events too, so keep an eye out. If you don’t like CactusVPN they offer a hassle-free 30-day money back guarantee, so you can try it for a month and if it isn’t working for you, you can simply get your money back and try elsewhere. What are the best Smart DNS services for watching NFL Game Pass? Smart DNS Proxy is a good shout for a pure Smart DNS service. For just $4.90 a month ($39.90 a year which works out at $3.33 a month) you get a tried and tested Smart DNS service that gives you explicit access to NFL Game Pass. There is a two-week free trial and a 30-day money back guarantee, so you can always move on if it doesn’t work well enough for your tastes. CactusVPN also offer their own Smart DNS service for just $4.99 a month or you can save 35 percent by subscribing annually. For just two dollars more you can get a fantastic VPN service alongside it as well. Being a sports fan is a funny thing, one second you’ll be cheering your team on and then at the drop of a hat, you want nothing to do with them. Make sure before you drop the cash on the NFL Game Pass that you won’t be left regretting the money spent as your team routinely dashes your hopes (which they most certainly will). If you found this article useful please feel free to share it amongst your nearest and dearest (or even people you aren’t too fond of). If you have anything to add please feel free to let us know in the comments below.